Symbiosis Application Form 2019: Symbiosis Entrance Test (SET) is a computer-based entrance test for the admission processes in the 12 institutes of Symbiosis International (Deemed University) for various UG courses in the field of Engineering, Management, Law, Arts, Design etc. To appear in the entrance exam, one must have to fill the Symbiosis SET Registration Form that will be filled through online process only. Candidates can apply for multiple courses but in different shifts. SET has 4 different papers for different courses like SET-General for other undergraduate course, SET- Design (SEED) for Design course, SLAT for SET-Law and SITEEE for SET-Engineering. Aspirants can apply for the application form for their preferred course. Go through this article to get information related to SET exam date, application form, eligibility criteria etc. 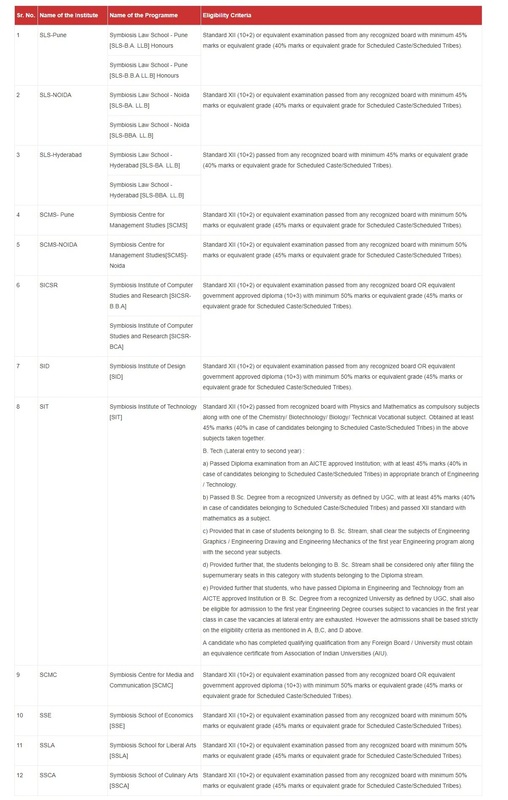 Take a look on the listed SET Eligibility Criteria for admission in Symbiosis for the academic session 2019-20. Pass 10+2 with minimum 45% marks from recognized board with Physics and Mathematics as compulsory subjects with one of Chemistry/ Biotechnology/ Biology/ Technical Vocational subject. Candidates having Diploma degree in Engg. & Technology with at least 45% in PCM can also apply. Foreign Nationals, PIO, NRI & OCI candidates are also eligible for SET 2019. 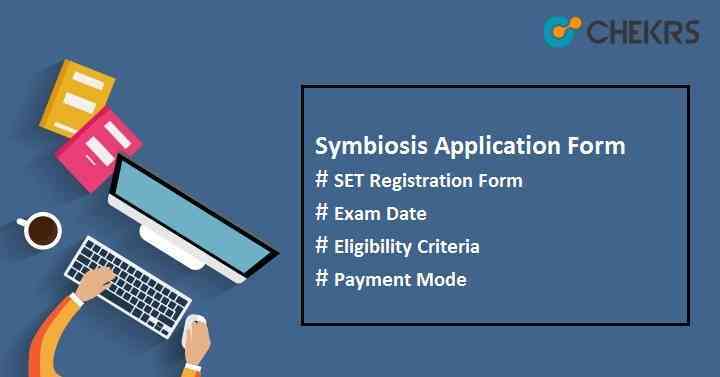 Candidates having 12 passing certification from any recognized board or equivalent government approved diploma with at least 50% aggregate marks can apply for Symbiosis SET. Students must have completed his/ her schooling from recognized board with a minimum of 45% marks. Note: There will be relaxation of 5% in aggregate marks in the qualifying exam for the reserved categories candidates. Then on Next Page Click on Register. Read the Instructions carefully and then click on the ‘I Agree’ button to accept the Terms and Conditions. Fill in the details requested on the page displayed. Click on “Save and Continue” to choose a password and the hint questions that will be asked if you forget your password. Then click on “Submit” to register. The screen will now display your SET 2019 ID. After successful registration, you will get an email containing your SET 2019 ID and password on your completion click on “Save and Continue”. Now the Application will redirect to Payment page. Get the updates related to Symbiosis SET 2019 from this site. We are here to help you in a better way and to provide you useful & sufficient results. All the Best!! !